My clinical focus includes management of the following conditions: pelvic organ prolapse, urinary incontinence, recurrent UTIs, pelvic and vaginal pain disorders such as interstitial cystitis/painful bladder syndrome, pelvic floor dysfunction, vulvodynia, and vaginismus. "Words cannot describe how I feel about this woman. Dr. Pillalamarri has been a tremendous help to me." 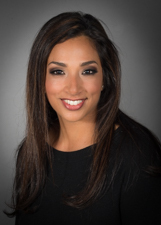 "Dr. Pillalamarri is exceptional! Not only does she seem very knowledgeable in her field, but she is also humane and understanding of my lifestyle and current situation!!" "She is an excellent surgeon for pelvic repairs. She thoroughly explains my condition and the procedure to correct it. I am fortunate to have Dr. Pillalamarri as my surgeon." "Takes time to explain thoroughly without pushing you out of office." "Have already recommended Dr. Pillalamarri to a friend." "Care provider was very professional informing me of options available to me, giving me reading material to help me with my decision." "Dr. Pillalamarri is a real caring and professional doctor. After suffering for 33 years, she finally gave me the relieve I desperately needed." "I was very impressed with her." "Dr. Pillalamarri spent quality time with me explaining what options I have to resolve my condition she demonstrated from a visual what I was experiencing I trust her skills." "My doctor was the best. There should be more doctors out there like her." "Dr. Pillalamarri was extremely concerned, put me at ease and explained all that was done. A very compassionate doctor." "I LOVED Dr Pallamerri. I was scared and unsure of doing procedure. She helped me make the right decision to do surgery. She was amazing before , relaxed me while in operating room and met me. afterwards as well as following day." "She is the best doctor I've ever seen. She takes time to talk with me and listen!" "Already have told a friend & friend also pleased with the MD." "Dr. P was outstanding. Explained everything about my dx and treatments, very caring about everything very thorough." "Dr. P is a compassionate doctor with an understanding of the patients needs! Outstanding experience!!" "Dr. Pillalamarri was amazing, always explained everything in the simplest form. I was always 100% sore of what she said. Amazing experience."